South Africa doesn’t coupon! We are far too advanced for that! We use apps! 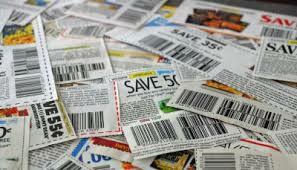 Most South Africans haven’t got time to sit and cut out coupons. I have to admit I do prefer the apps as we already have too much litter on the streets. Couponing helps you get your home sorted by making sure you have a shopping list and that you buy what you need. 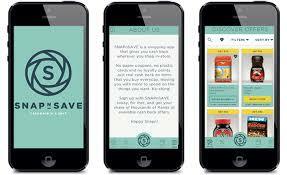 It also helps you reduce your grocery bills and some apps help you put away money. This money can bve used for emergencies or during months that last longer than your salary. My two favourite coupon apps are SNAPnSAVE and Wuhu deals. I think they give the most value for money. In this article I am only going to cover SNAPnSAVE. Here’s how this coupon app works. Using this code Adrienneb713, (yes I will earn money on your first snap but you will get your own code to pass on to your friends and family). This will prompt you to set up your profile. Go to the App store on your phone and download the app. When you have done that login with the password you have already created. You are now ready to start shopping. I must admit that there are items listed occasionally that I have no idea where to buy that particular brand. They have staples each month which include bread and milk, although I did notice the eggs have been taken off. You get cash back on all sorts of items from fresh produce to beauty products to power tools and more. You can pretty much shop anywhere; they do have some independent stores listed as a supplier. Once you have downloaded your app and logged in, it is time to coupon! Draw up your shopping list, you will need it for this app and for Wuhu deals. You can now ‘book’ your items, some items are for multiple deals but you don’t have to use them all. Some items are so popular they may not be available at the time you want them, not to worry click on the notify me and the app will send you a message when that coupon becomes available. While you are shopping you can open the app and go to your booked items. As you put an item in the cart mark it off by touching once on the coupon. Remember to buy the correct size, brand and flavour that is listed on the coupon. Pay for your groceries, there is no cash back at the till. Now for the tricky part, snapping your slip. I try and do this before I even unpack my shopping otherwise I forget. I have lost a lot of money forgetting to snap my till slip. Your picture needs to cover the entire slip, it must have the shop name, the date, the invoice and the vat numbers. If you have a long till slip what I suggest is folding your slip into sections and taking lots of pictures. Each picture must have all the details listed above for it to be valid. Submit your pictures and sit back and wait. It usually takes two to three days for the cash to show up in the App’s virtual wallet. You have two choices on how to use your money back. One is getting the cash deposited into your bank account and the other is through a WiCode. If you would like the cash, just register your banking details. Transfers are on Thursdays each week. Your WiCode can be used at any PicknPay or Checkers store, from the liquor stores and the small stores all the way to the Hyper stores. The code can also be used at Dischem. On the last Friday of the month SNAPnSAVE have super deals which are usually 50% off, so be sure to remember to check that out. I keep my cash back and use it once a year. I am Jewish and our most grocery expensive Holyday is Passover, so this is when I use my money. I think using it for either Christmas or to buy stationery at the beginning of each year is a great way to prevent getting in to debt over gifts and school books. Want to know more visit http://kasheringyourlife.co.za/couponing-south-africa/Do you use coupon apps? Not a cent. Just download and use.